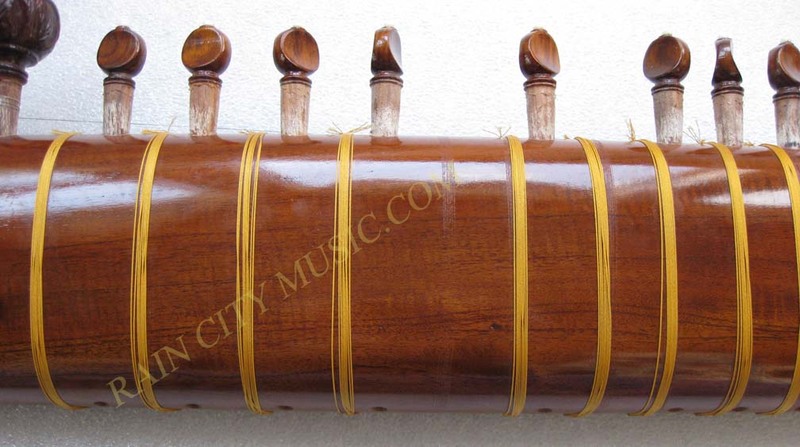 We're often asked given the lack of instruments being made from Hiren Roy, "who else is like them?" 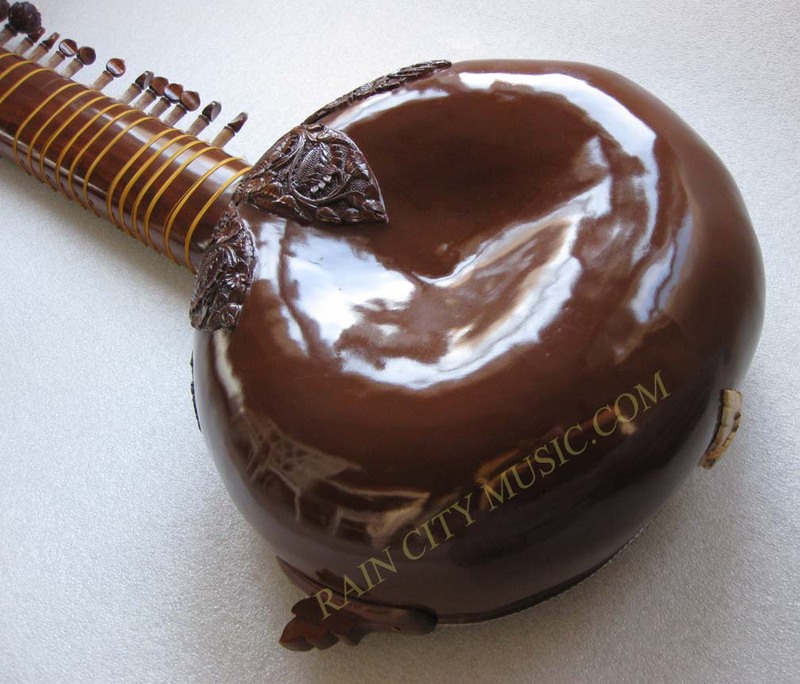 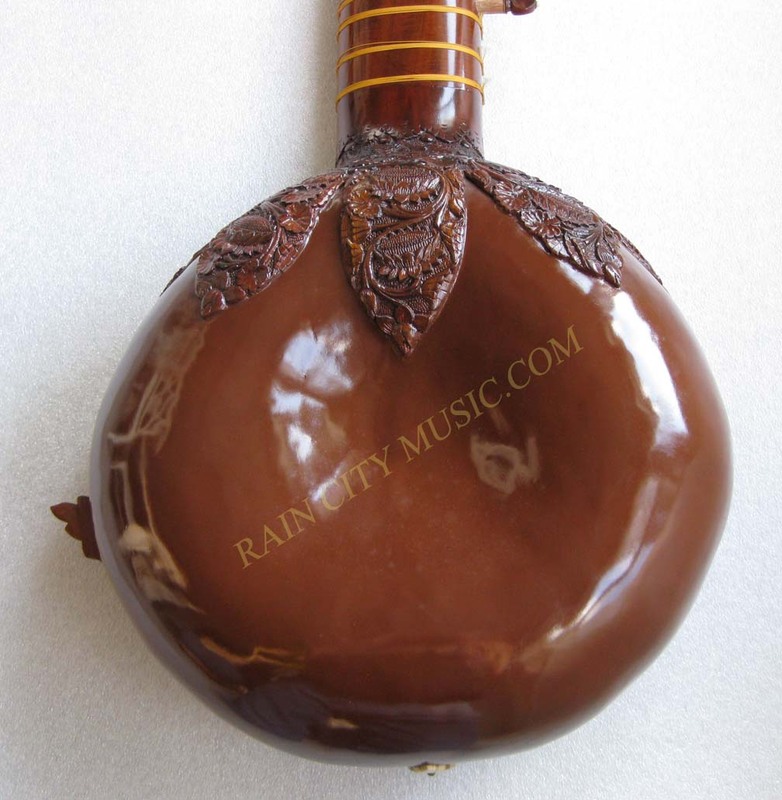 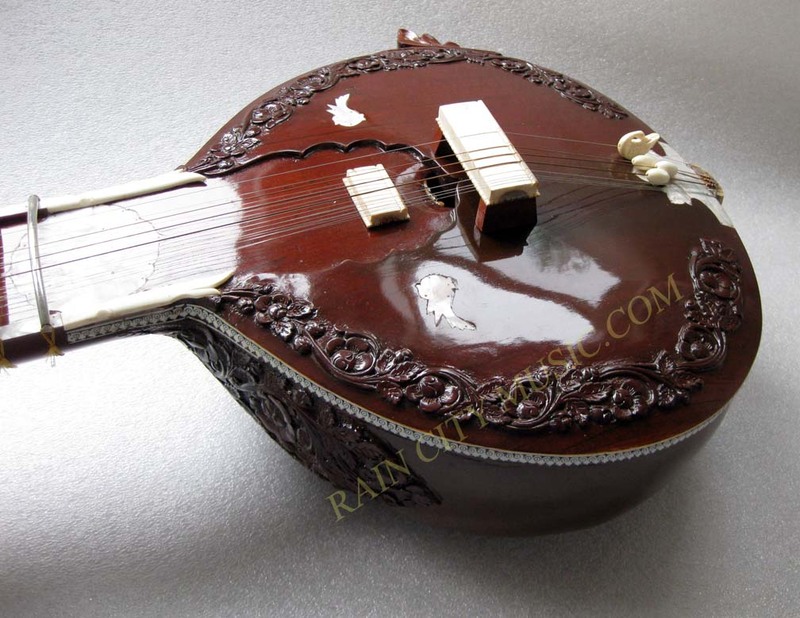 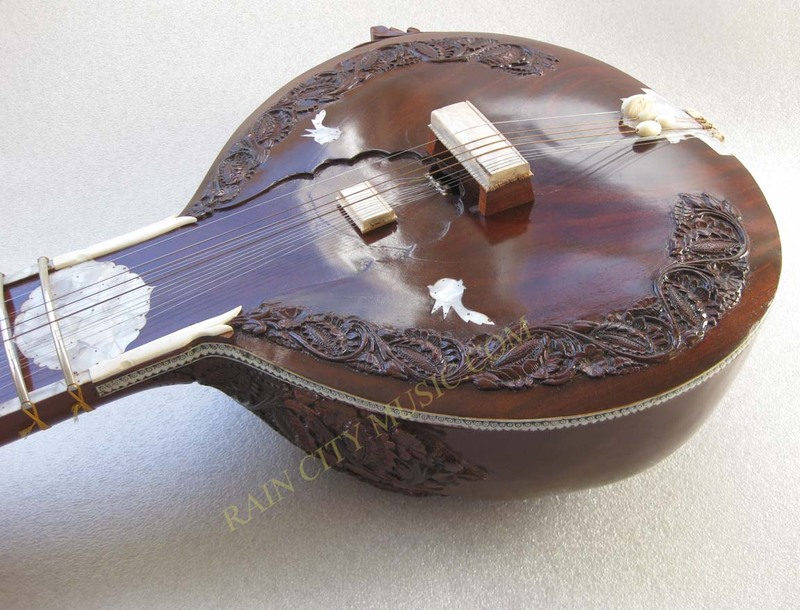 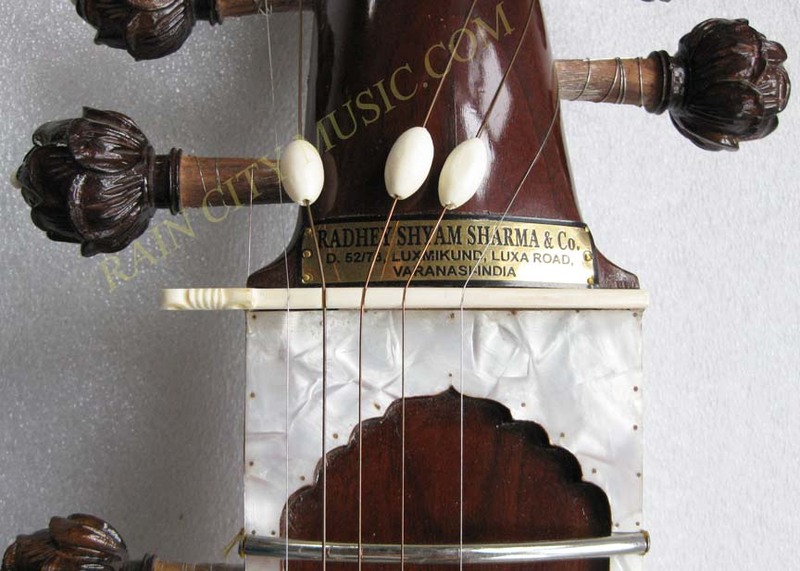 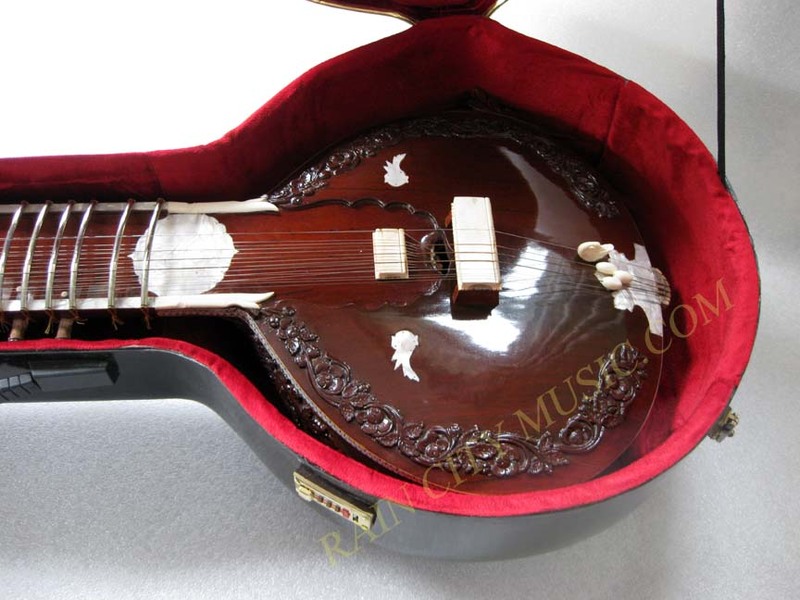 Radhey Shyam Sharma instruments have a similar dark and smooth tone and exceptional fit and finish. 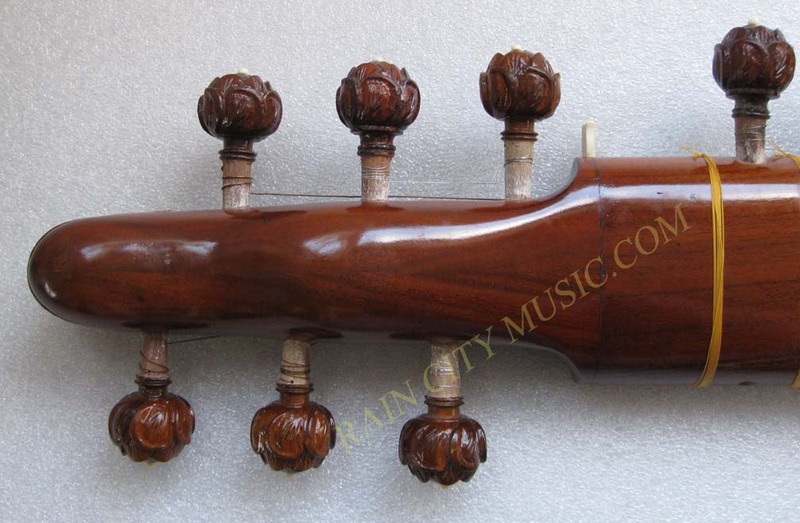 The instrument work is done in-house, no imported bodies which makes him stand out from his competitors definitely. 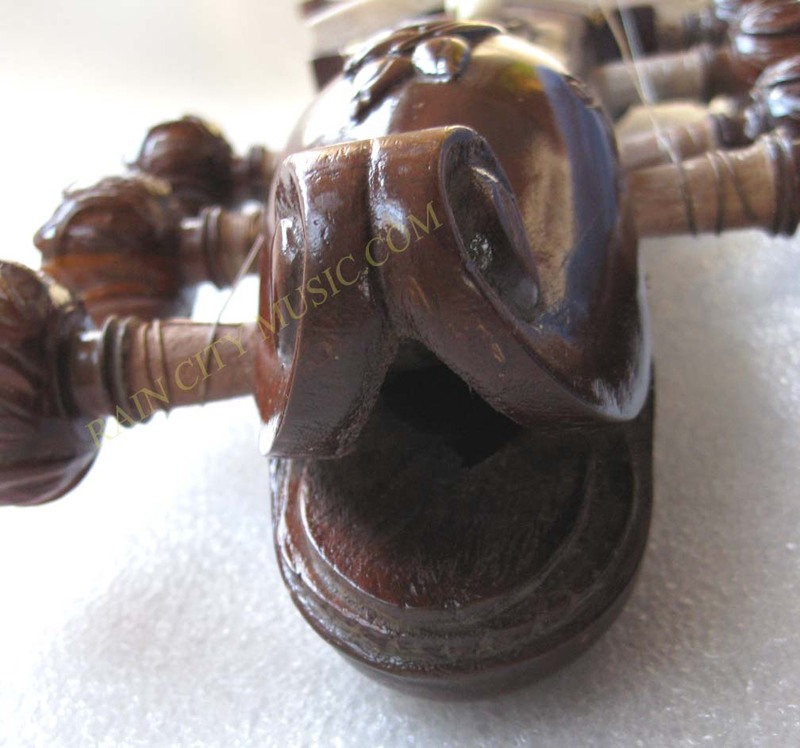 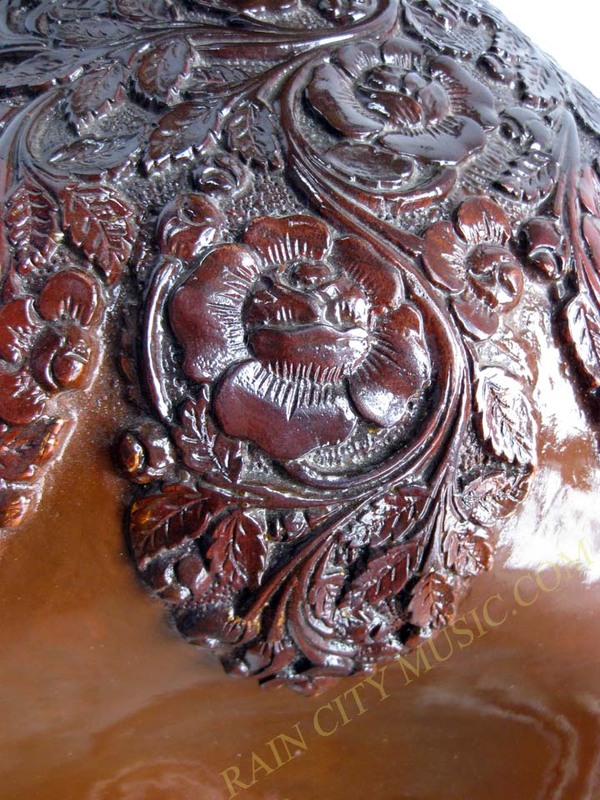 His craftsman who works on the structure and carving is probably the best in India. 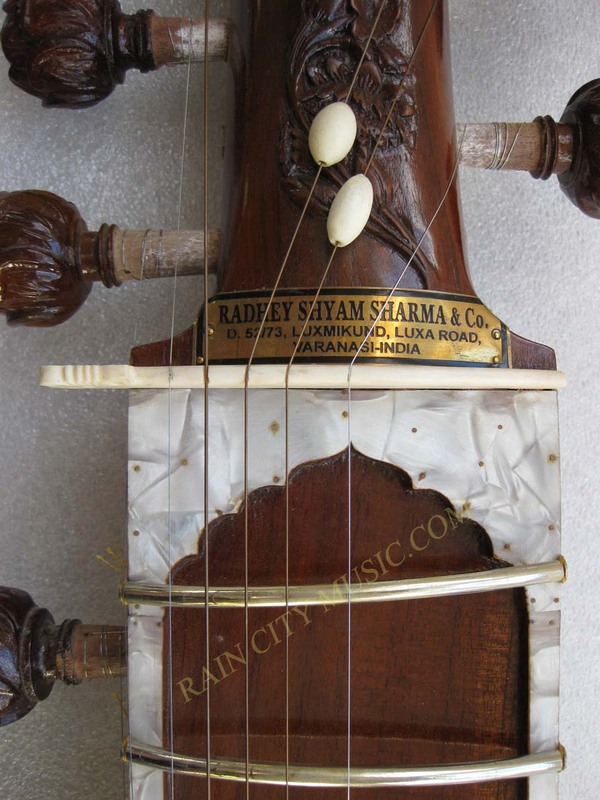 We've known Radhey for many years now and are happy to represent his work here in the West. 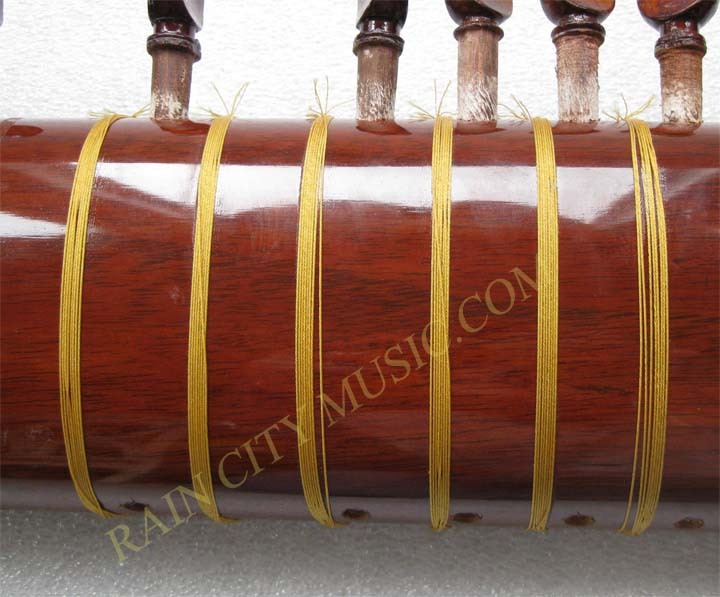 This surbahar features a 17 1/2 inch tabli, suitable tuning from G to A. 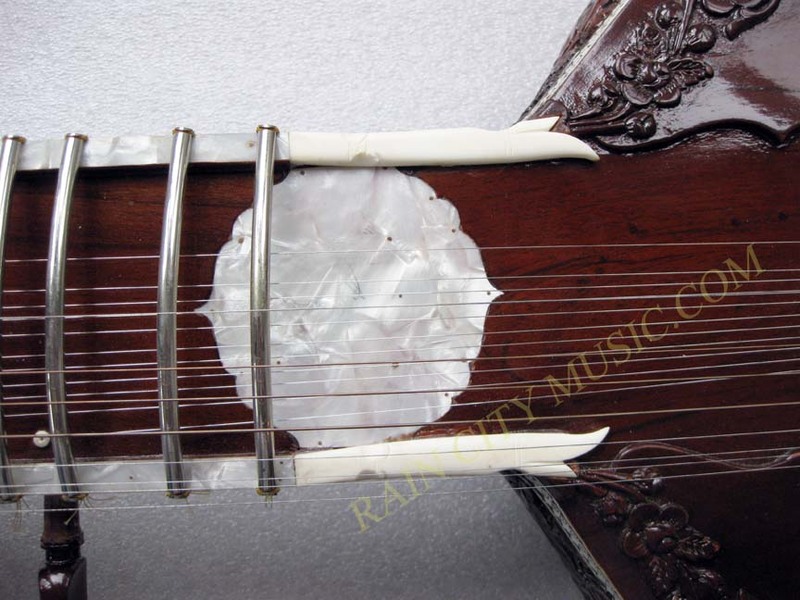 7 main strings, kharaj pancham style with 11 sympathetic strings. 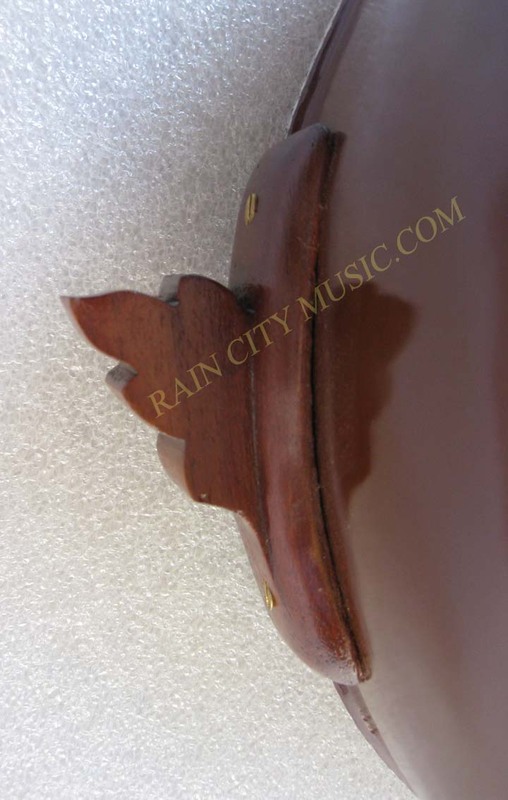 Natural traditional materials for bridges and langot. 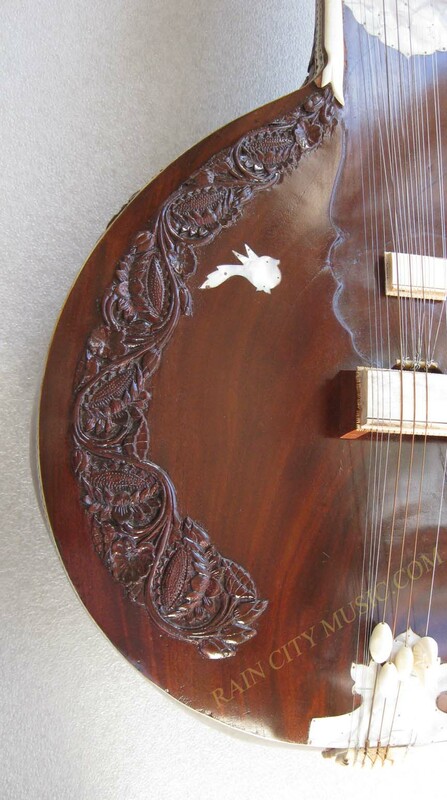 Garland rose full decoration combined with faux mother of pearl inlay. 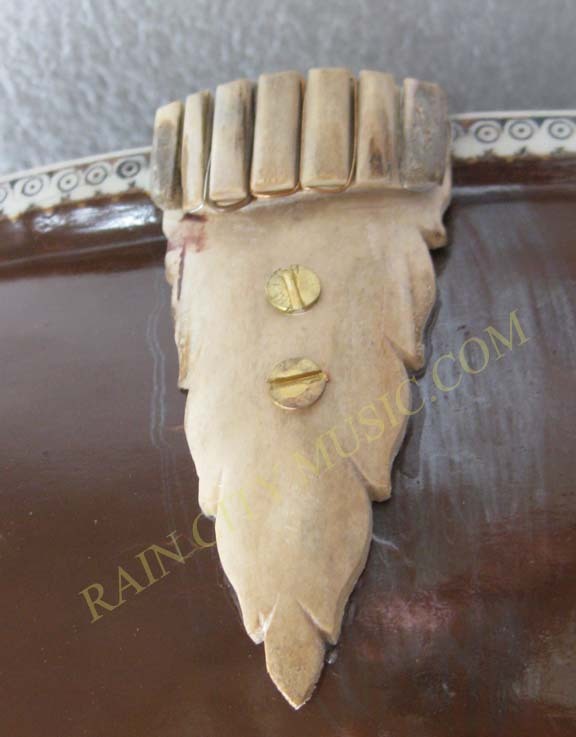 Traditional grommets and bone tipped pegs. 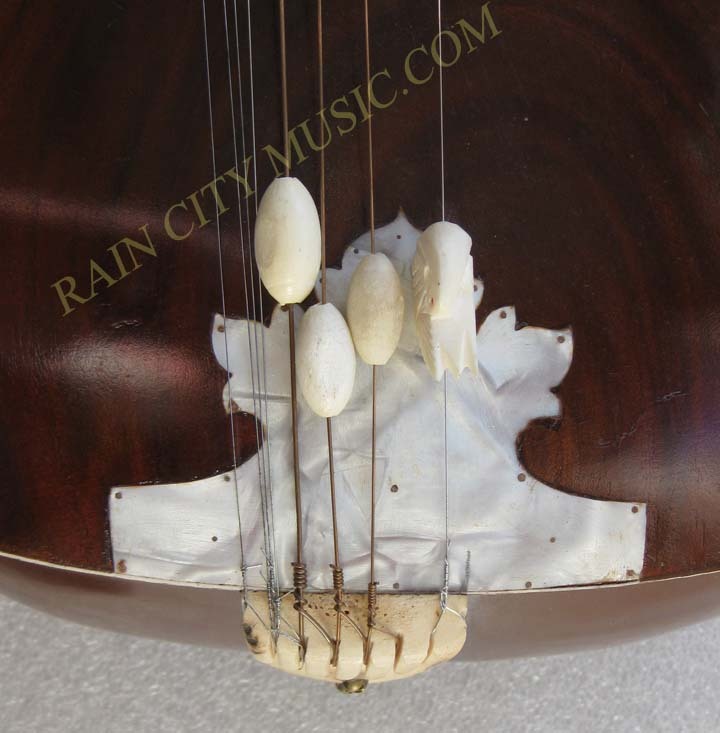 The scrolled headstock is actually hollow, very unique. 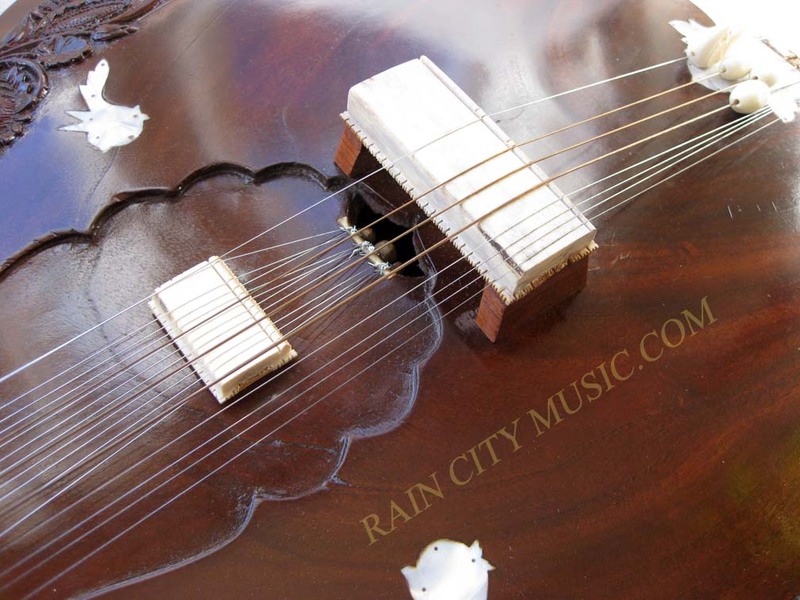 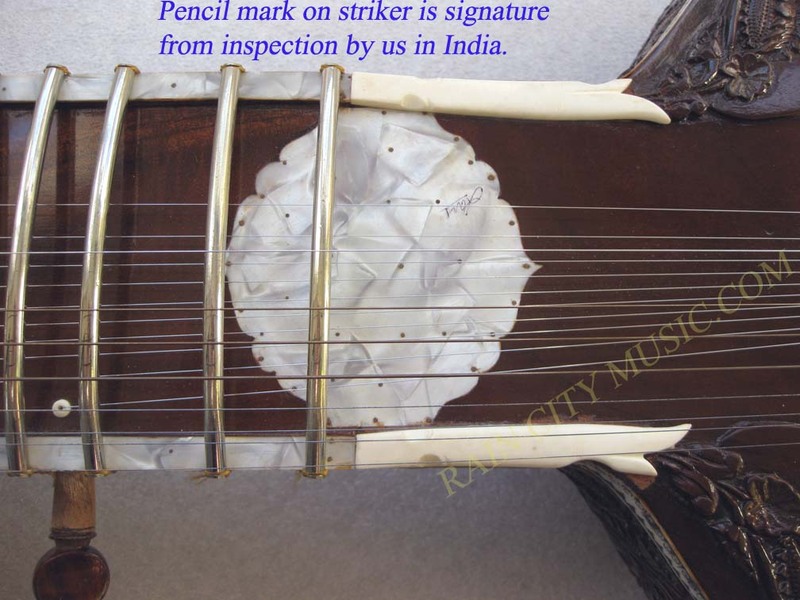 This instrument has been air shipped to US from India as all our instruments, any others you'll find outside of India are generally container shipped due to size and cost and poorly handled with no setup...Expect shipping to be around $150 +/- to most US locations via Fed Ex but actual shipping charge will be determined upon sale. 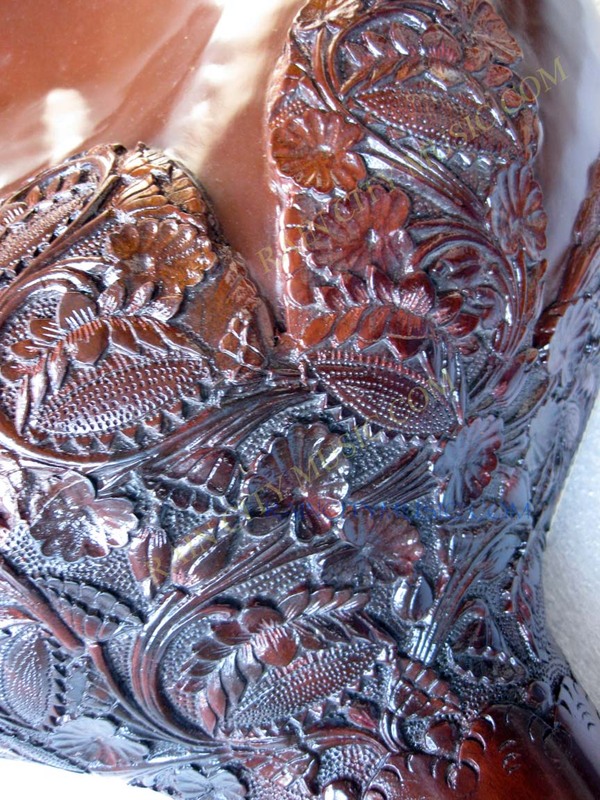 Please email us with any questions! 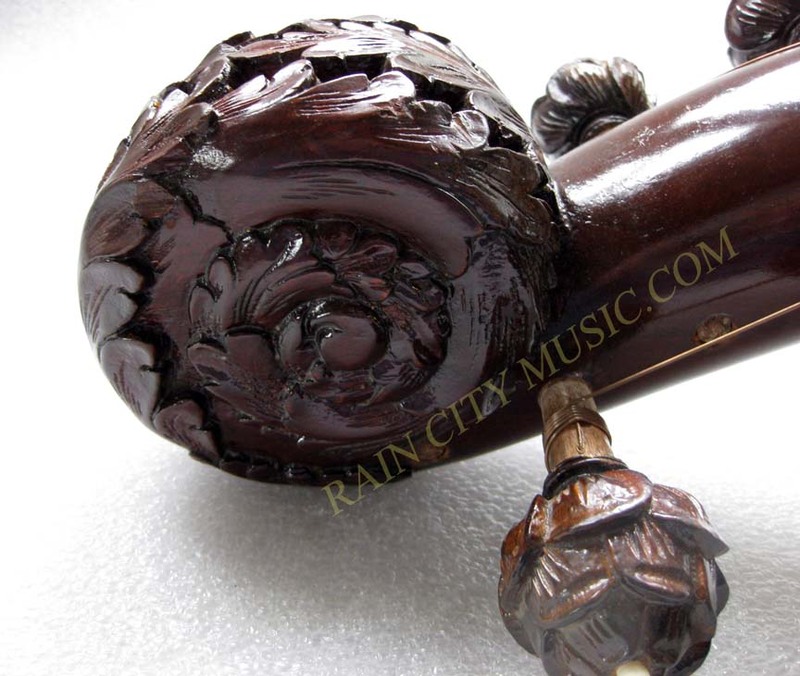 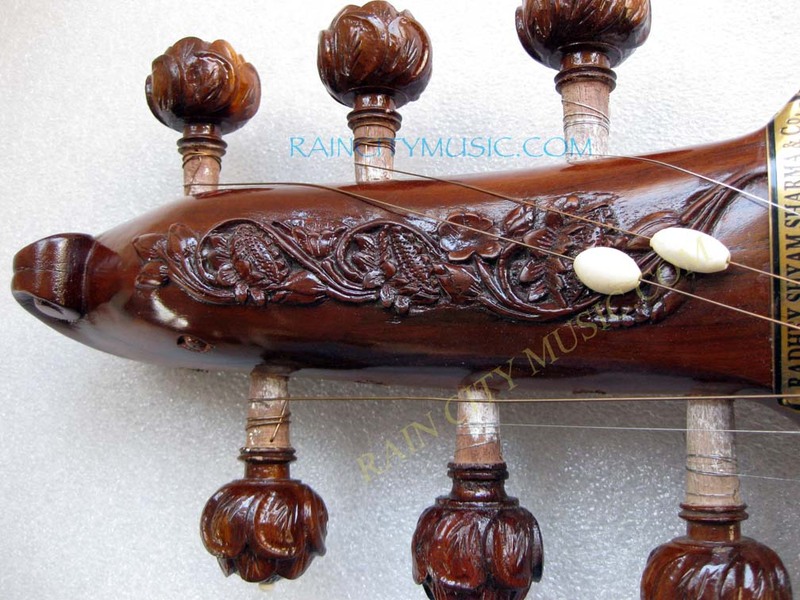 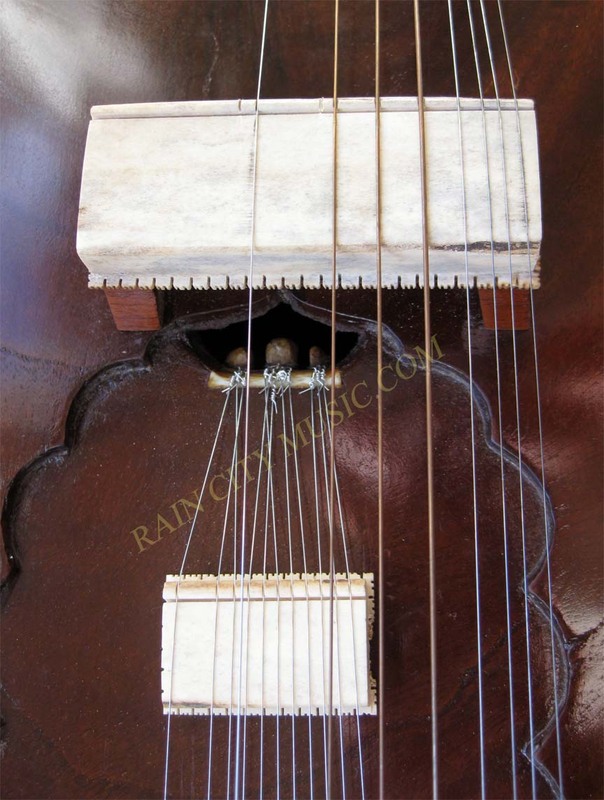 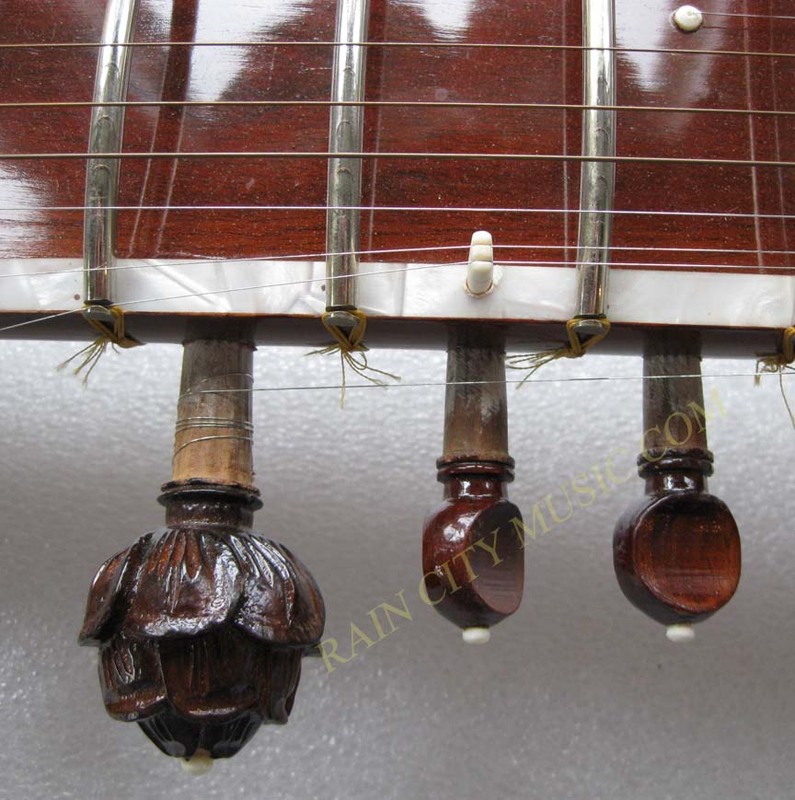 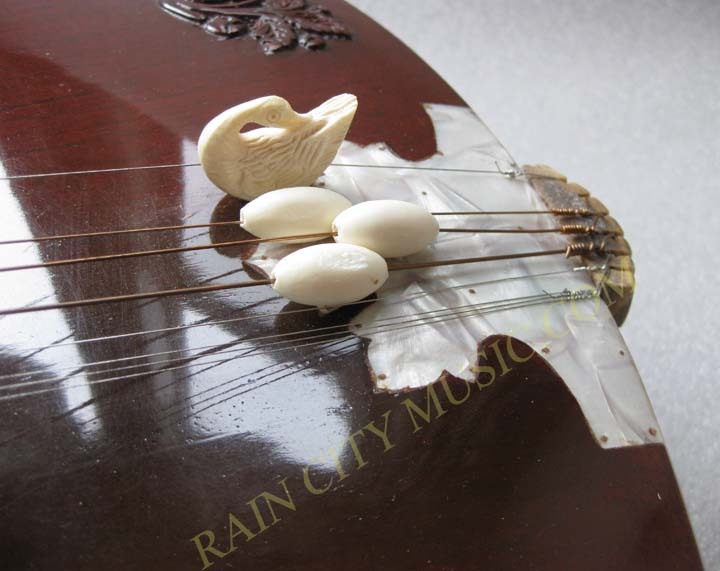 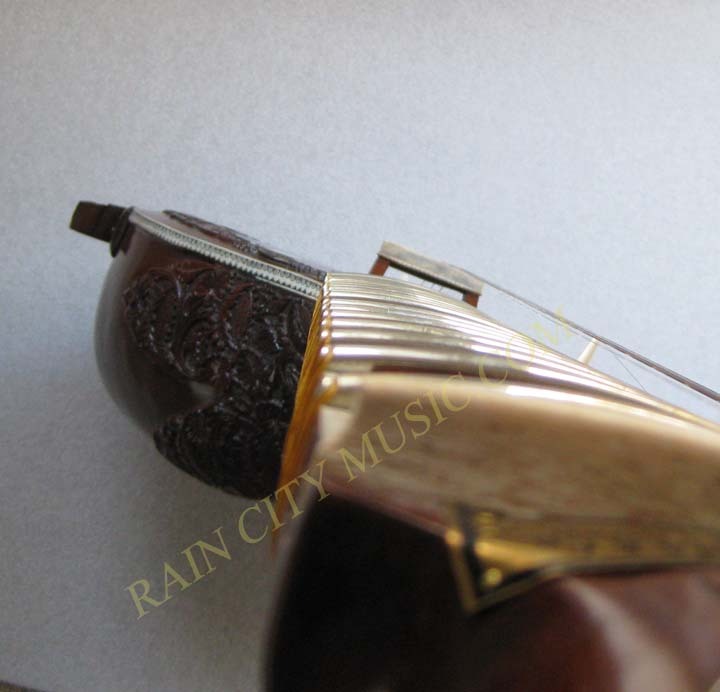 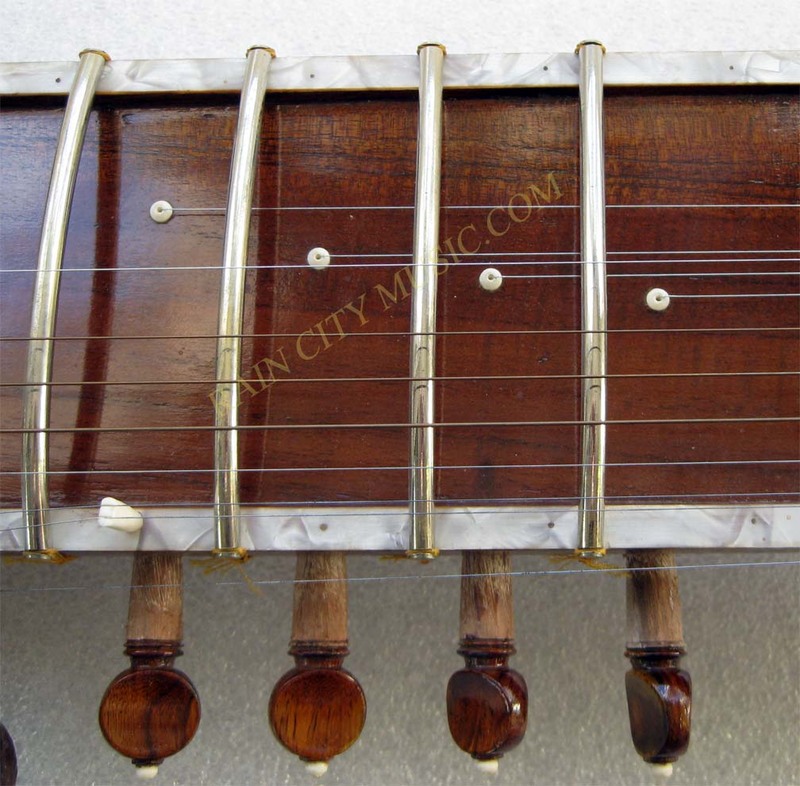 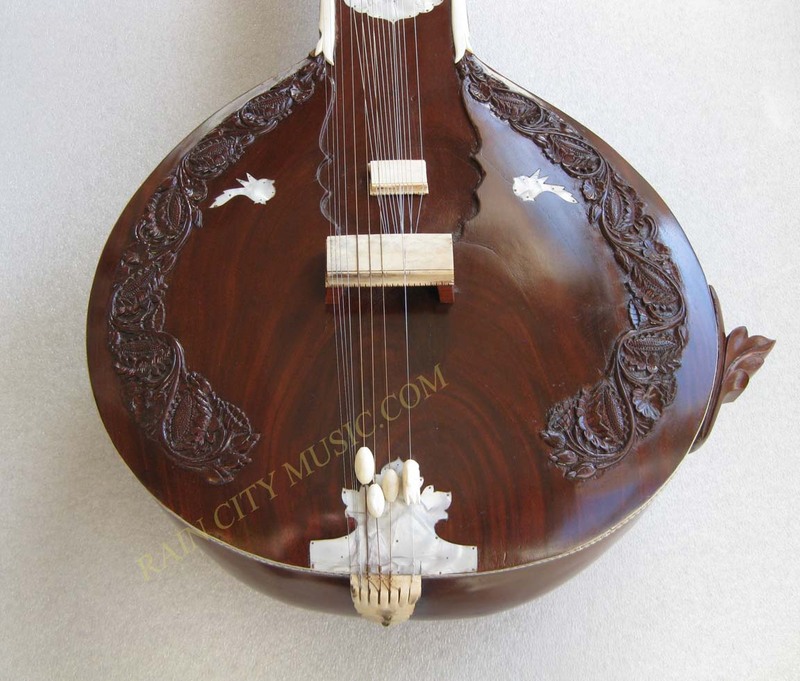 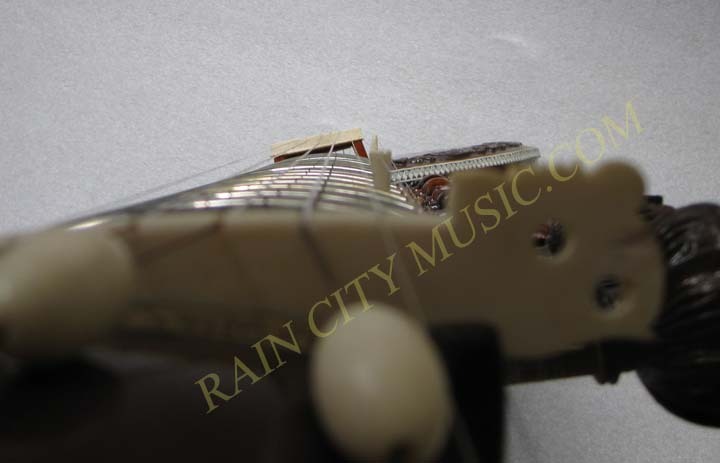 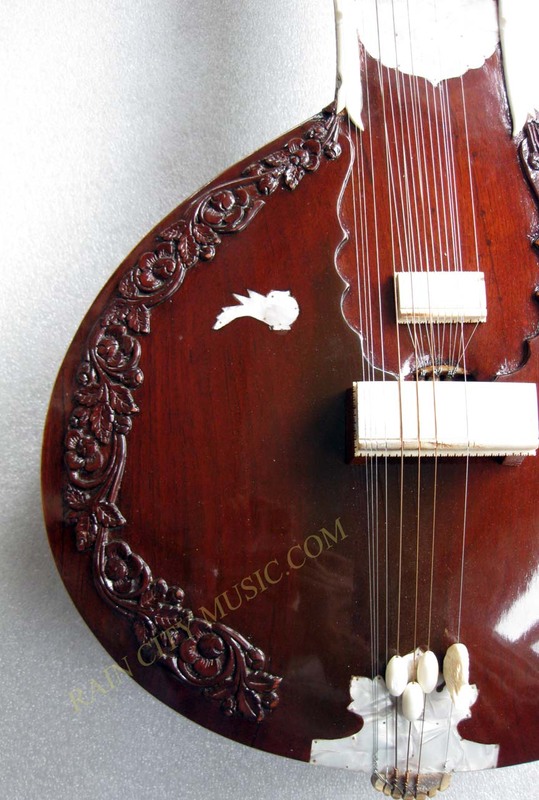 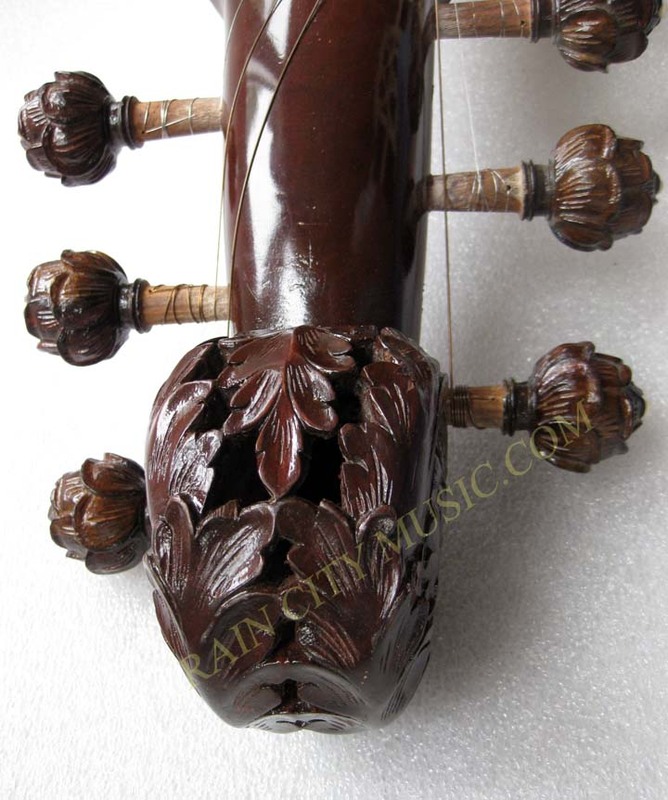 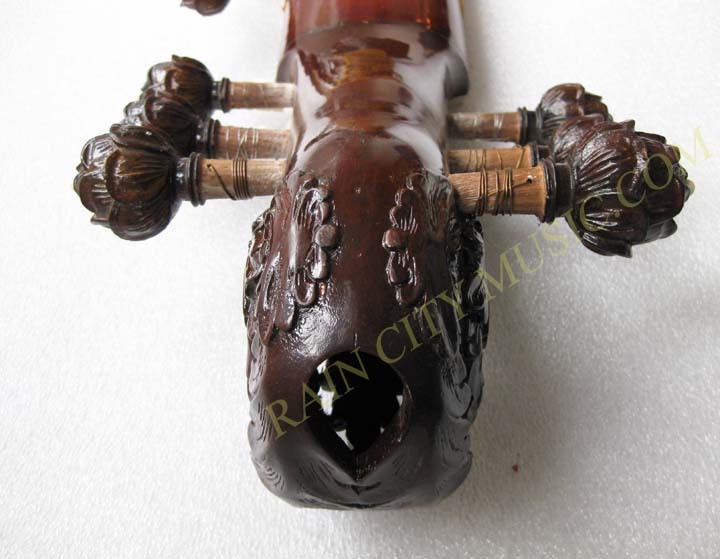 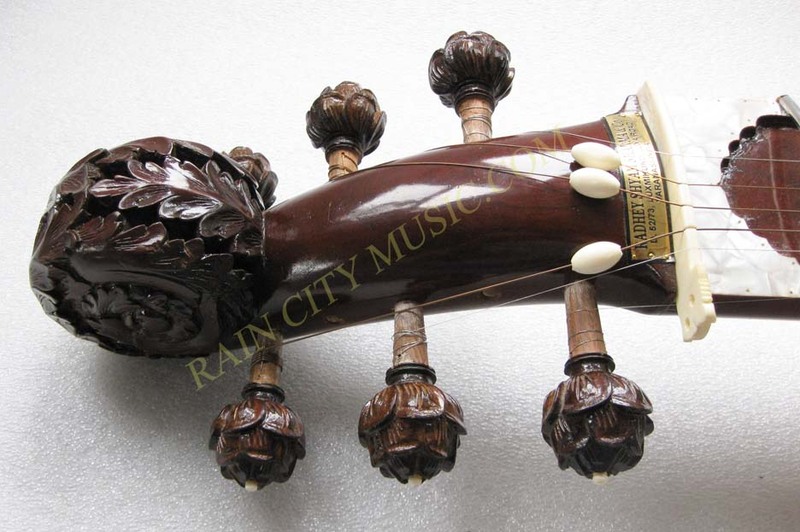 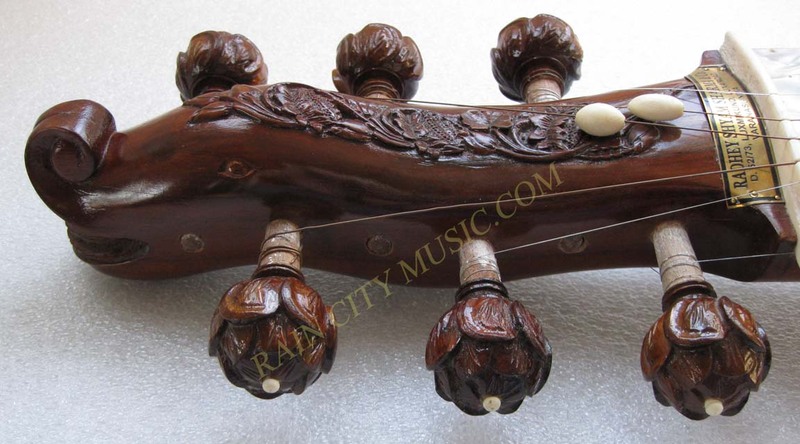 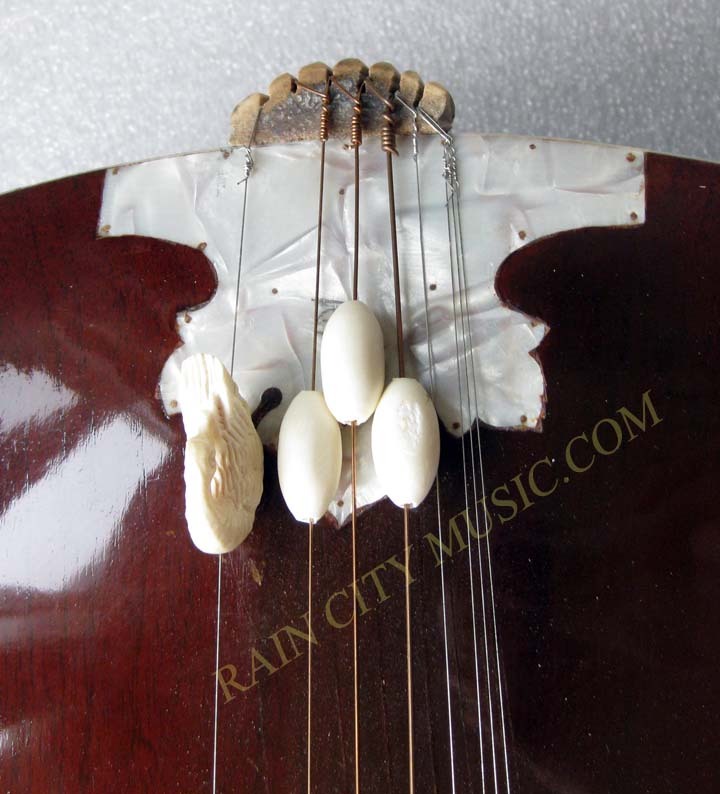 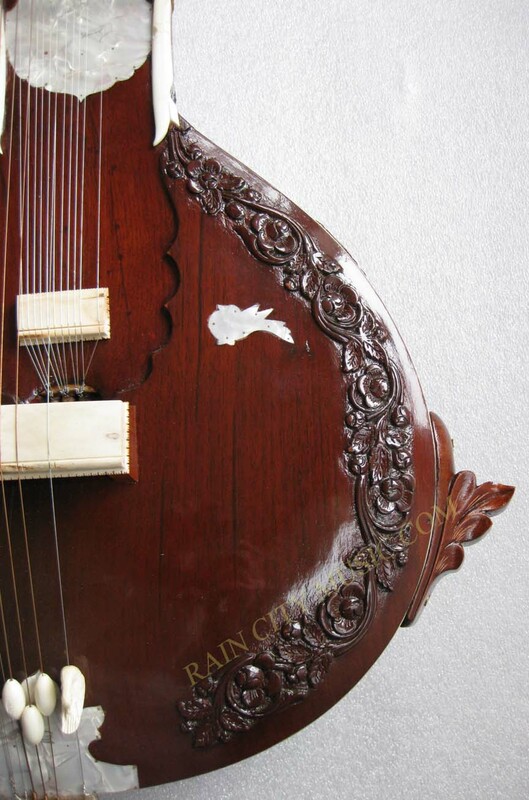 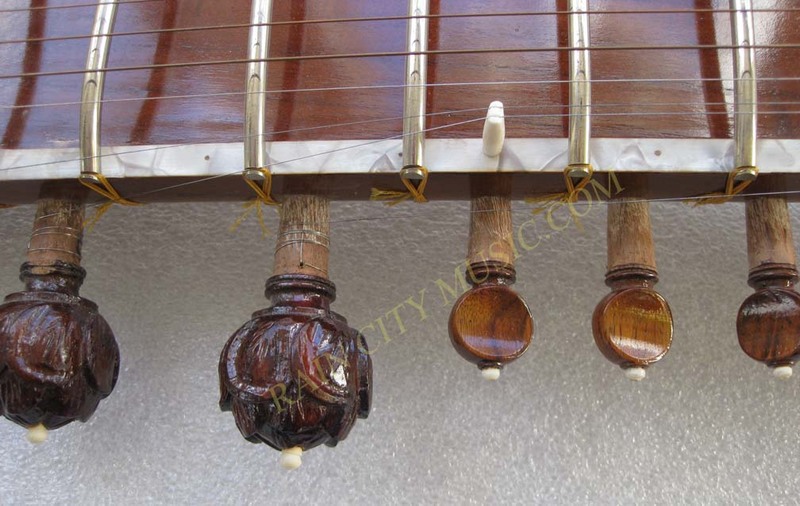 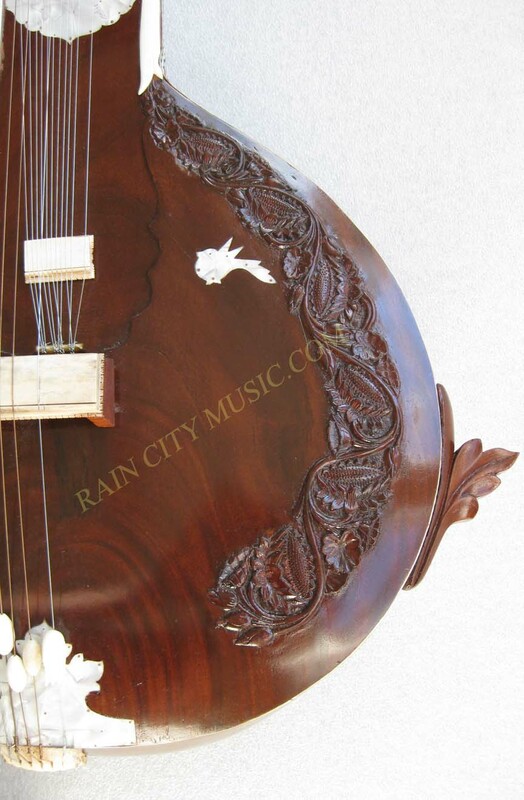 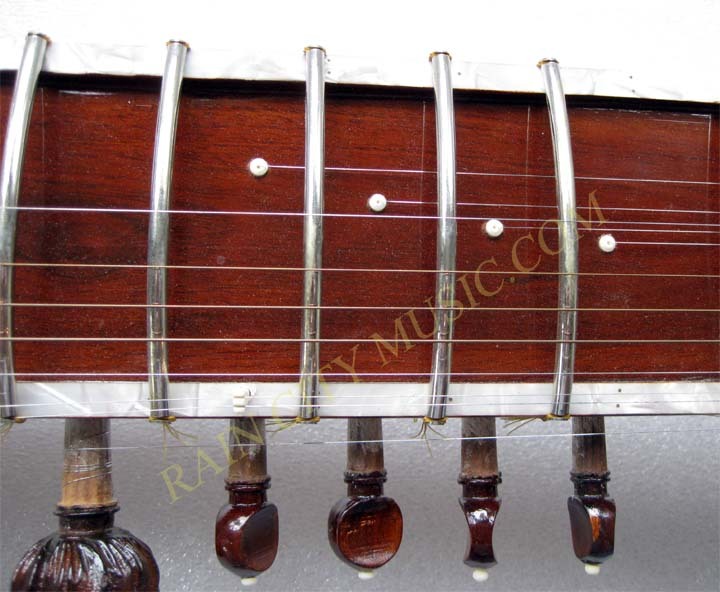 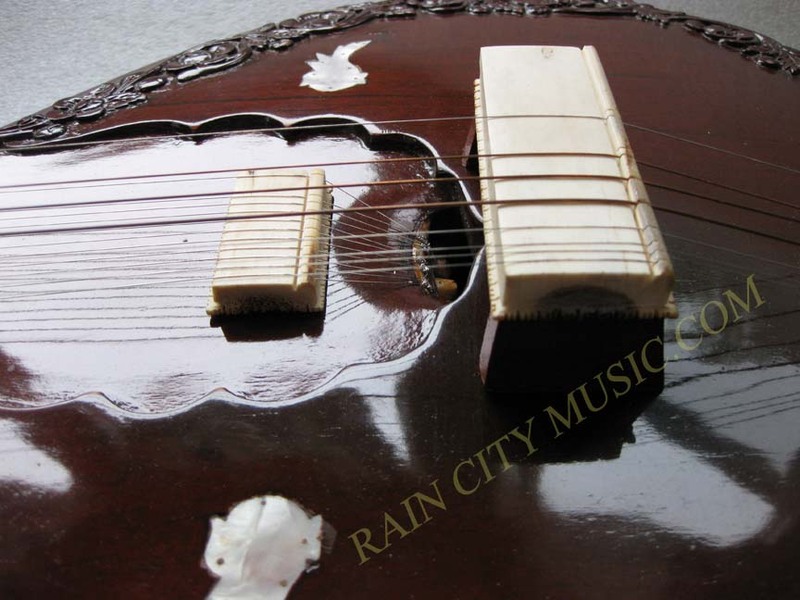 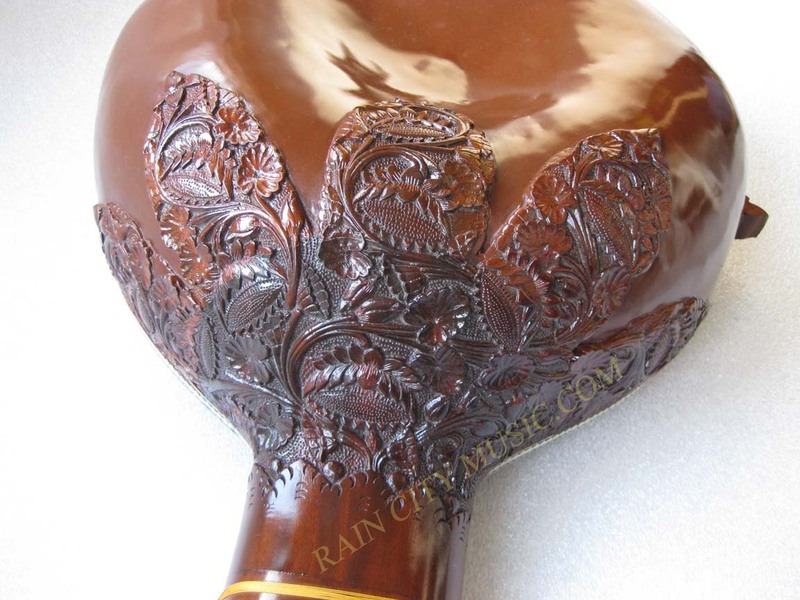 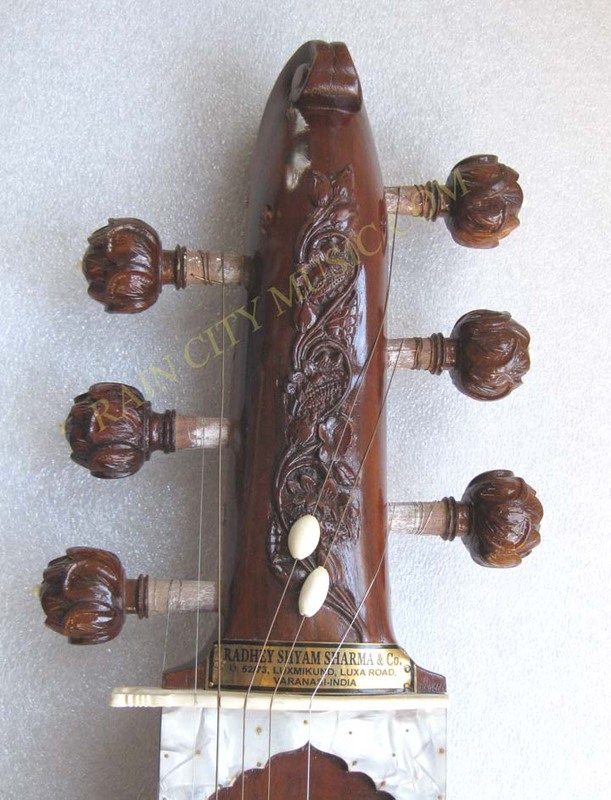 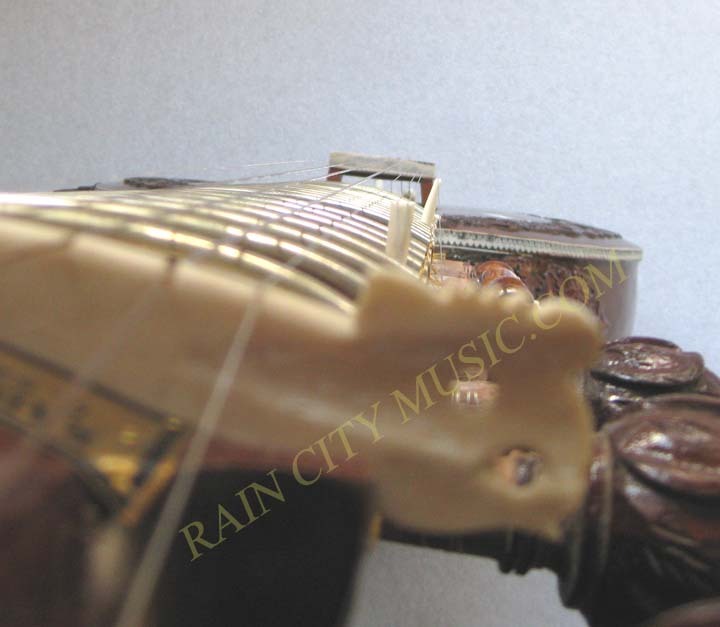 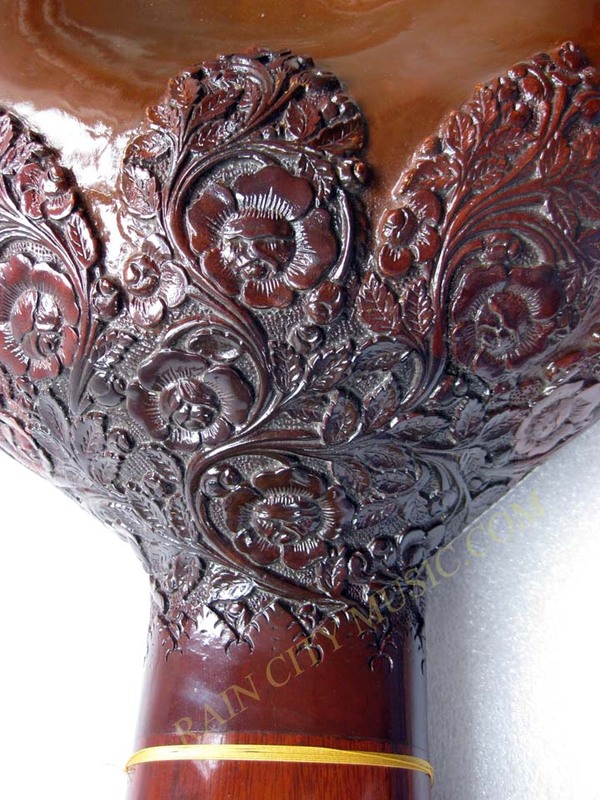 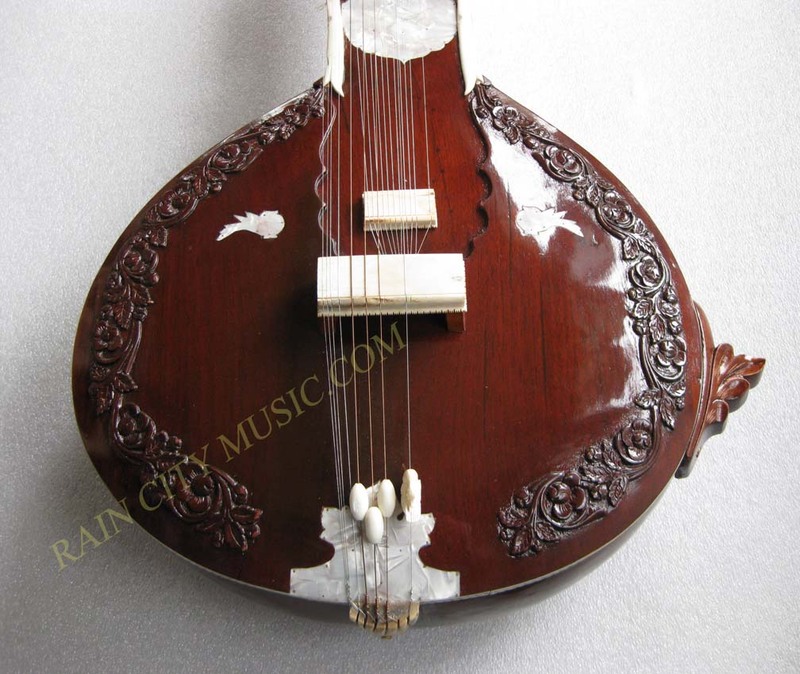 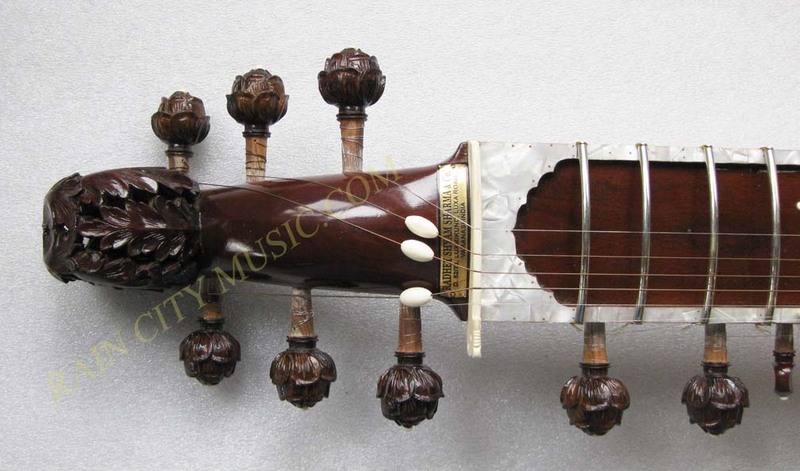 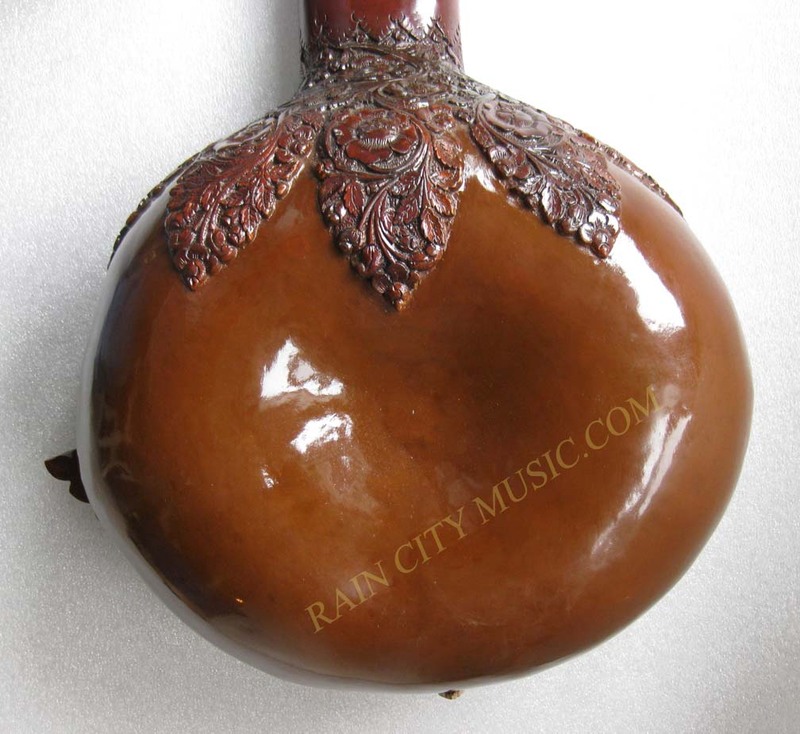 In stock model features a Dagarbani style headstock, different from picture as shown below. 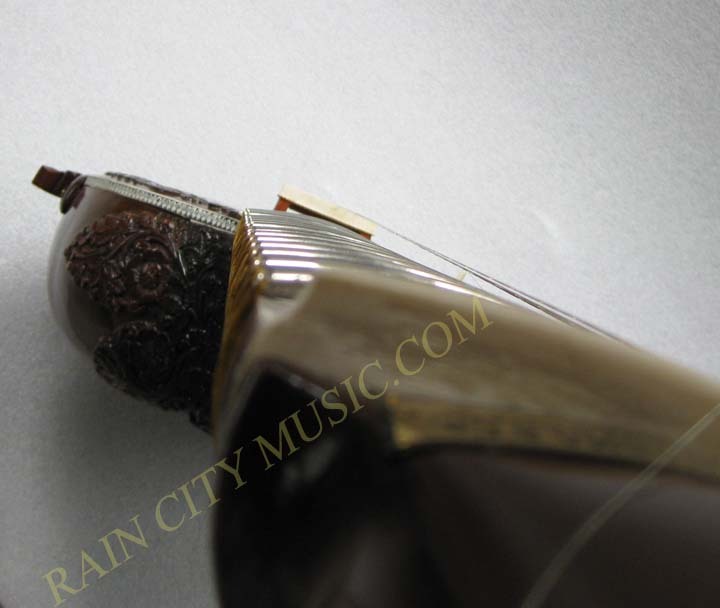 Most recent model pictures below.